Next to Christmas and Easter, National S’mores Day may not be that big of a to-do. But, it should be. What would camping or summer or even your childhood be without the inclusion of this stacked (sometimes double) treat? The fact is that s’mores are one of those few iconic foods that are ritualistic in creation and memorable in eating. So, to honor the holiday (on Sunday the 10th), we created this recipe, which unites classic s’mores with another traditional summer treat: the popsicle. Melt the chocolate chips in the microwave stirring every 15 seconds until completely melted and smooth. Let the mixture cool for about 10 minutes then gently fold in marshmallows. Spoon mixture into popsicle molds and insert the sticks. 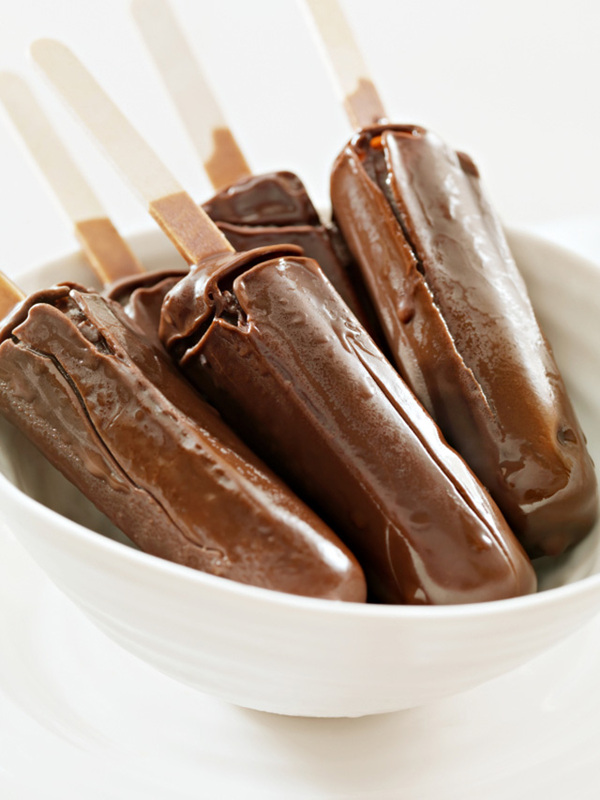 Sprinkle crushed graham crackers onto the base of the popsicles and freeze completely. Katie Straw is the writer at Cheesecake.com, which provides an epic cheesecake experience, and currently resides in Manchester, New Hampshire.